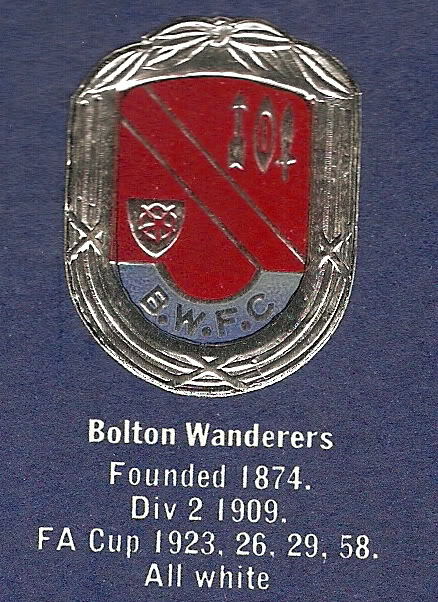 We havent been able to get any definitive dates with regards the Bolton Wanderers badge so if there is anyone who can help us out in that area we would be very grateful. Apparently the Elephant on the top is there because at the time Bolton was at the centre of the cotton industry and an Elephant on cotton signifies quality. The red rose is obviously the symbol Lancashire and of course Bolton arent the only football team to have adopted this on their badge !! The shield is split in two by two golden lines which signify arrows, this is a reference to the Bolton Archers of Flodden Field in 1513 while the shuttle represents cotton weaving. Finally the motto “Supera moras” translates as “overcome all difficulties”. 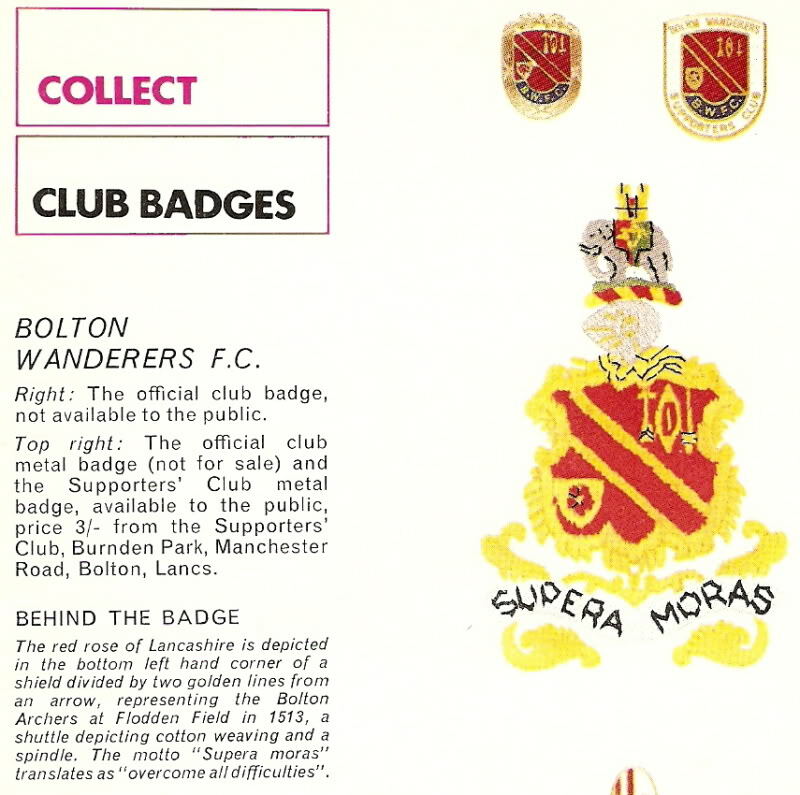 We have found another version of the Bolton badge in the 1959 Encyclopedia of Sport but we think this might just be a shirt badge and not an “official” club crest. 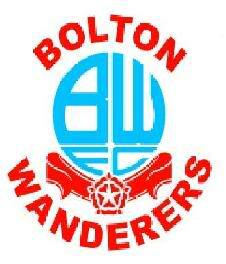 Another example of the Bolton football badge is shown below, this is from the Esso collection issued in the early 70’s. Not quite the same as the one above but we believe this is simply down to Esso adapting it slightly for the own purposes. The badge above was replaced by the one below, again though, dates are a bit of a mystery !! The Bolton Wanderers club badge was the controversially changed in the early 2000’s with the initials of the club in the shape of a ball, with red and blue ribbons underneath them, we believe this change coincided with the club's move to the Reebok Stadium.